I sure hope that you had a magical New Year's holiday full of sparkles! 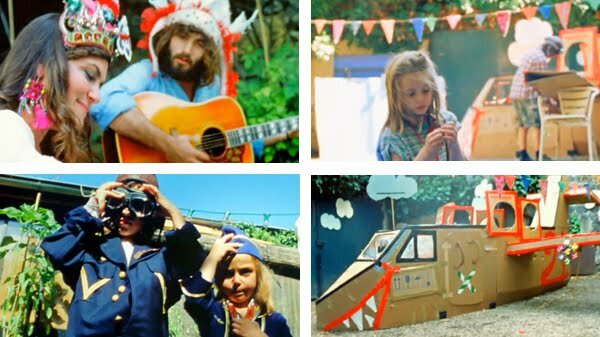 This song by Angus and Julia Stone is fantastic, and I have shared it before, but today for Music Monday I am sharing this song again because of their new whimsical video. It is a really fun one, that you should check out. Happy Music Monday! Oh. gorgeous sounds and visual with this video! Thanks for sharing! This is one of my favorite Angus and Julia Stone songs! I'd been hoping they'd make a video for it for a while now. Thanks so much for sharing! It's really unique and cheerful. that was so beautifully colorful! and i've had the song for a while but i think i like it better now, haha! They've been playing this song non-stop here in France since this summer...Love it! Just awesome. I love your music posts. as "whimsical" as the video may be, supporting artists who culturally appropriate from Native American tradition (headdresses, the male singer wearing a "warbonnet") makes me sad. i adore this song. and this video is much better than the one i originally saw. very whimsical! I love that song, what a beautiful video! LOVE angus and julia stone!!! especially this song!! i also love And the Boys and Black Crow.